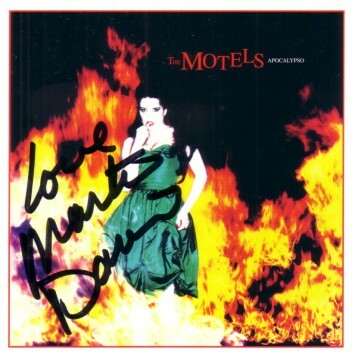 The Motels Apocalypso CD BOOKLET ONLY (disc NOT included) autographed in black marker by Martha Davis, who added Love to her signature. With certificate of authenticity from AutographsForSale.com and photo from the signing. ONLY 2 AVAILABLE FOR SALE.